What is better for skin – natural ingredients or chemicals? It is a trick question. Take dihydrogen monoxide, for example. It sounds like an intimidating chemical, but it is just a scientific term for H20 - regular water. In fact, every substance is made of chemicals – even plants. That is because any chemical is made up of atoms and molecules, which can occur naturally or can also be synthesized artificially. So, without using the word chemicals, a better question might be, what is better for skin, natural ingredients or synthetic ingredients? In terms of skin care products, natural ingredients are derived from flowers, leaves, roots, bark, marine sources, soil (clay), minerals, and so forth. On the other hand, synthetic ingredients are created in a lab and are often categorized as cosmeceuticals. In these days of advanced skin care technology, there is really no need to just have the two choices, as if they were polar opposites. 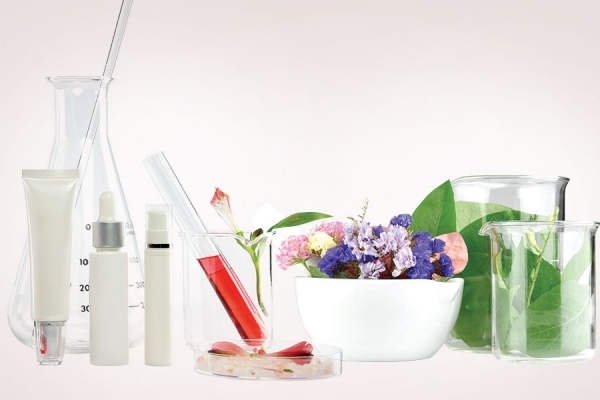 In fact, natural ingredients are often the very source of cosmeceuticals and, in turn, cosmeceuticals can help promote, deliver, and even magnify the effects of natural ingredients. With today’s technology, there is now a third choice: a symbiotic hybrid of natural ingredients that are married to scientific advancements, with the goal of amplifying and enhancing skin care. 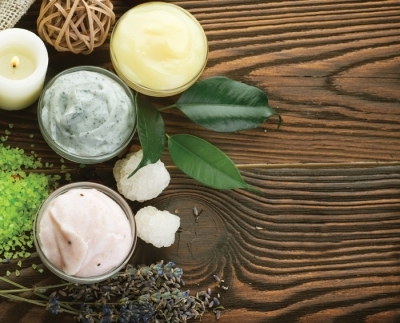 By using microencapsulation, plant stem cells, and plant-derived cosmeceutical ingredients, formulators are redefining the role of natural ingredients in skin care. Skin care formulators face many challenges when working with natural ingredients, such as concentration, stability, and delivery. ingredient is identified as natural, does not necessarily mean it is well suited for the skin or will prevent allergic complications. When separated and isolated from their natural source, natural actives can undergo stability issues due to sensitivity to light, oxidation, temperature, and pH levels. The molecules break down and lose potency, which reduces or even destroys their effectiveness. For example, vitamin C, extracted from a natural source, is known for reducing melanin production, fading hyperpigmentation, inhibiting free radicals, and boosting collagen. However, when exposed to light and air, some forms of vitamin C oxidize, lose efficacy, and may even damage proteins and DNA. The smaller the molecule, the more easily it is absorbed by skin, but larger molecules need a vehicle to allow them to pass through the stratum corneum. Water-soluble ingredients cannot effectively penetrate the skin’s lipid layer and oil-soluble ingredients might be too large or too unstable to pass through. The good news is that many natural moisture factors and antioxidants stay on the top layer of the skin to soothe, hydrate, plump, and maintain the moisture barrier. The bad news? Without an effective concentration, stability, or delivery system, many natural ingredients will not effectively penetrate the skin’s protective barrier. The solution is that natural ingredients and cosmeceuticals do not have to battle it out; they can work in perfect harmony. The science of encapsulation technology can be married to the power of natural ingredients. Like shuttles that deliver people to their destination on time without losing their luggage, microencapsulated natural ingredients reach the targeted location, do not lose their potency, and are released in a timely manner. So, how does encapsulation impact natural ingredients and the skin? The stratum corneum, the top layer of skin, is a barrier protecting the body from bacteria, environmental damage, and moisture loss. Microencapsulation technology allows natural ingredients to be absorbed through that protective layer. It begins with an outside shell material (encapsulant) that prevents the natural active (core) from getting out, before it reaches the targeted area, and blocks other material from getting inside. Commonly used encapsulation substances include: wheat proteins; soy; natural lipids, such as phospholipids, liposomes, or beeswax; and polysaccharides, like carrageenan from algae and chitosan from sea crustacean shells. For example, vegetable-derived liposomes function as water-soluble and oil-soluble carriers that easily pass through the stratum corneum. These microspheres smuggle in natural actives that are hydrophilic (water-soluble), as well as actives that are lipophilic (oil-soluble). Once absorbed, the skin is sealed with a micro-thin, flexible film to reduce transepidermal water loss (TEWL), dehydration, or the evaporation of moisture within skin. En route to the targeted site, the shell material prevents the active ingredient from degrading due to exposure to light or air, which maintains the ingredient’s stability and efficacy. The core is released when there is a particular trigger, such as heat, pH, moisture, enzymes, diffusion, or dissolution. With a controlled release over time, the natural active is delivered to targeted areas at its full potential to provide anti-inflammatory and antiaging skin benefits. This type of delivery system has an extremely low potential of skin irritation, as the active targets wrinkles, hyperpigmentation, atopic skin, rosacea, post-treatment skin, wound sites, and other skin issues. Many of the most potent natural ingredients depend on microencapsulation to provide skin renewing and healing benefits and, in particular, the growing advancements in plant stem cell technology. Stem cells are essential for skin renewal. They work best with growth factors, which signal stem cells to renew collagen, elastin, and epithelial cells at targeted locations. Like human stem cells, plant stem cells are undifferentiated cells that divide to create the same type of stem cells or become specialized cells. They function as a cellular repair system, continuously dividing and replenishing other cells. Plant-derived stem cells have strong antioxidant and anti-inflammatory benefits and are used in skin care formulations that provide potential anti-wrinkle, antioxidant, and antiaging benefits. Plant stem cells are not just extracted from vegetation or fruit and dropped into skin care. Instead, they are cultured in labs where scientists and formulators have more control over the purity and quantity of the antiaging substance produced by the plant, away from contaminants like pollution or pesticides. Antioxidants and other nutrients in the stem cells of the plant can, therefore, be more powerful when cultured in the laboratory for use in skin care products. Harvesting for plant stem cells does not destroy the host plant. To obtain stem cells in the lab, the plant is slightly wounded by a small cut. The plant starts to heal itself by creating active substances that are non-programmed, blank cells with the potential to develop into various cell types performing different functions. A tiny bit of this tissue is extracted from the actively-dividing cells of the host plant as it regenerates itself. Unlimited stem cells can then be cultured from the original and their molecular potency can be multiplied by 1,000 times or more. The lab environment also ensures their purity, safety, and standardization. Best of all, researchers have found that when these stem cells are topically applied to skin, they help trigger renewal and even magnify the effects of antioxidants, vitamins, and minerals. Still, these stem cells would need to be microencapsulated in order to be absorbed through the stratum corneum and deep into skin for antiaging or repair benefits. Plant stem cells are a logical source for antiaging skin care, since plants have evolved into sophisticated, natural mechanisms for combating environmental stress. Sources for plant stem cells include highly-resistant flowers, plants, and fruits that survive, and even thrive, in extreme conditions. With high concentrations of antioxidants, plant stem cells help neutralize free radicals that cause photodamage and other signs of premature aging. Research supported by clinical trials has shown that plant stem cells help deliver moisture deep into skin, smooth out wrinkles, minimize inflammation, boost collagen production, restore elasticity and firmness, and protect skin against damage from UVA and UVB rays. Stem cells from plants, flowers, fruits, and vegetables are cropping up in skin care formulations, where they are touted, not only for their antioxidant benefits, but for the purpose of promoting skin renewal. Alpine rose is used to help delay skin aging by protecting vital skin stem cells. Argan improves tone, elasticity, and density while accelerating skin’s natural repair process. Asian ginger assists in minimizing pore size, excess sebum, and shininess. Edelweiss inhibits collagenase, which limits collagen degradation and loss of firmness. Lilac helps acne-prone skin by reducing the activity of enzymes involved in the production of sebum. Gardenia supports collagen and hyaluronic acid synthesis for improving firmness and moisture retention. Gotu kola reduces the appearance of redness while boosting collagen synthesis. Grape defends against signs of skin aging caused by exposure to UVA and UVB rays. Hibiscus provides cellular hydration to support the wound healing process. Mushroom fades away dark spots, acne scarring, and signs of photoaging. Raspberry calms skin irritation and combats oxidative stress while sealing in moisture. Swiss apple stimulates cell renewal and reduces the appearance of lines, wrinkles, and crow’s feet. Tomato supports cellular structures and helps prevent collagen degradation. In the treatment room, exfoliation is essential. No matter how many skin-loving ingredients are put onto skin, they cannot interact with other molecules and cellular processes if dead skin cells, excess sebum, or makeup residue are in the way. The number one rule of helping products penetrate skin is to keep skin exfoliated and hydrated. Exfoliants, like alpha and beta hydroxy acids derived from natural substances, provide multiple skin benefits. Encapsulated in liposomes, they can be delivered into skin with a lowered chance of skin irritation. Look for exfoliants containing phospholipids or liposome carriers along with the appropriate hydroxy acid or natural fruit enzyme that suits the specific skin concern. Azelaic acid (from wheat, rye, or barley) minimizes hyperpigmentation, reduces inflammation, and clarifies pores. Bromelain (enzyme derived from pineapple) clears away surface debris while providing antioxidant benefits. Citric acid (from citrus fruits) serves as an antioxidant, exfoliant, and skin lightener. Glycolic acid (from sugar cane) smooths lines and wrinkles, reduces hyperpigmentation and dark spots, and promotes cell regeneration. Lactic acid (derived from milk) softens, smooths, and improves skin tone. Mandelic acid, derived from bitter almonds, is great for sensitive skin as it reduces enlarged pores, targets acne, smooths lines and wrinkles, and brightens. Papain, an enzyme from papaya, promotes exfoliation by digesting keratin protein. Salicylic acid, a BHA from willow bark, targets congested pores, minimizes pore size, and helps control sebum production. A plethora of natural cosmeceuticals can be used for different skin conditions and concerns in the treatment room. Keep in mind that natural ingredients are not limited to plants and algae – they also include minerals and clays. In fact, whether encapsulated or not, some herbs, plants, clays, and algae contain a motherload of skin-loving minerals, with benefits for each client’s individual skin issue. Allantoin is extracted from the comfrey plant to soothe sensitive skin and stimulate skin cell regeneration. Epigallocatechin gallate (EGCG, derived from green tea) is a potent antioxidant that interacts with other organic molecules to combat and minimize oxidative damage. Mamaku leaf is a skin conditioner known for tightening and smoothing sagging skin. Red ginseng has an abundance of polyphenols, flavonoids, and antioxidants for improving microcirculation and oxygenation to help renew, tone, firm, and brighten skin. Silver and copper are skin-firming minerals that accelerate healing after microneedling, dermaplaning, chemical peels, microdermabrasion, lasers, IPL, radio frequency, and platelet-rich plasma treatments. Tasmanian pepperberry contains high levels of anthocyanin and rutin flavonoids to intensify antioxidant activity, strengthen capillaries, and minimize dark circles and puffiness. White lily flower, with anti-inflammatory properties, calms stressed skin and decreases puffiness. Zinc and selenium ward off environmental damage and are included in helping boost post-treatment repair. Prepare skin by hydrating and sealing in moisture. Look for products containing botanical oils or butters with anti-inflammatory properties and superior levels of phytonutrients that absorb quickly. Abyssinian is rich in vitamins A, B, D, and E and oleic acid to balance skin, seal in moisture, and promote radiance. Babassu has up to 47 percent lauric acid to help reduce redness and increase moisturization. Baobab, with superior levels of fast-absorbing omega fatty acids, relieves skin irritation and is low on the comedogenic scale. Calcium is a skin-loving mineral that specializes in barrier function repair due to its moisture-boosting and skin-renewing properties. Cupuacu seed provides vitamins and minerals such as calcium and selenium that improve moisture retention and promote barrier repair. Dilo helps support skin’s moisture barrier and hold in moisture due to its high levels of lipids and phospholipids. Neem contains high levels of omega fatty acids, carotenoids, and vitamin E, which help restore skin’s protective barrier and prevent moisture loss. Sacha inchi is famous for containing up to 85 percent omega fatty acids, which help prevent dryness and inflammation. Spirulina, ascophyllum nodosum (ANK), chondrus crispus, porphyra yezoensis, and other mineral-rich blue, green, brown, and red algae extracts create a moisture cushion for stressed cells. Use phyto-derived ingredients containing natural tyrosinase inhibitors to block the conversion of amino acid tyrosine to melanin, which gives skin its color and is responsible for hyperpigmentation issues. Alpha arbutin (biosynthetic enzyme derived from bearberry plant) is known for inhibiting liver spots. Dipotassium glycyrrhizate (licorice root extract) has been shown to prevent tyrosinase activity by up to 50 percent. Kakadu plum is one of the world’s richest sources of vitamin C to help control melanin production and improve radiance. Kojic acid (byproduct of the fermentation process for rice wine) is very effective in fading out darkness and discoloration, with a lower potential for skin irritation. Lady’s mantle is a natural skin lightener that helps fade away freckles, discoloration, and age spots. Magnesium ascorbyl phosphate (MAP) and aminopropyl ascorbyl phosphate (AAP) are stable forms of vitamin C that reduce melanin production and protect against oxidative damage. Pearl powder is a treasure trove of minerals like calcium, magnesium, and selenium that help improve the appearance of dull, blotchy skin. Soy interferes with melanin transferring to the top layer of skin and evens out discoloration and tone. Use pore-clearing exfoliants with alpha hydroxy acids, masks that contain mineral-rich clays, and non-comedogenic moisturizers. Arnica contains high levels of magnesium, potassium, and calcium to help relieve skin irritation and promote skin renewal. Cinnamon bark provides antiseptic and antibacterial benefits to assist in tissue repair. Helichrysum flower inhibits bacterial growth to help reduce the appearance of blemishes while calming skin irritation. Jojoba oil targets clogged pores and balances sebum production. Kaolin, rhassoul, bentonite, or montmorillonite are mineral-rich natural clays that remove dead skin cells and other debris, absorb excess oil, and relieve irritated skin. Mandelic acid is often used in treatments for acne, melasma, or post-inflammatory hyperpigmentation (PIH) from acne. Salicylic acid minimizes congested pores and excess oil while refining skin texture. Sulfur is a pore de-clogging mineral with detoxifying antibacterial properties that also soaks up excess oil and reduces inflammation. Tea tree oil with bacteria-fighting properties purifies pores, soothes inflammation, and clears excess sebum. When Is A Cucumber Not Just A Cucumber? Plant science is growing. The burgeoning trends of plant stem cells, minerals, and even plant-derived peptides have firmly rooted themselves in skin care treatments. It is time for a different perspective on current expectations for using natural ingredients to improve skin structure and health. Technology married with the potential of botanical actives and therapeutic minerals can exponentially change the face of skin care. But is this hybrid the best solution? That depends. Every client’s skin is unique. The aesthetician’s first task is to determine the client’s specific concerns in order to identify which ingredients and products would be most beneficial and understand the reasoning behind those choices. In some cases, natural ingredients are not necessarily better. In fact, some herbal extracts may cause serious sensitivities for certain individuals. Just because it is natural does not mean it is automatically going to be non-irritating. On the other hand, even though some synthetic compounds, like parabens and phthalates, have been identified as potentially dangerous to overall health, does not mean all bio-engineered ingredients are the skin’s enemy. Today, science can greatly enhance the power of natural ingredients. Formulators can lock the vitamin C molecule to make it stable. They can coat natural ingredients with natural liposomes to ensure efficacy. Microencapsulation allows multiple active ingredients to reach targeted areas and perform optimally. Airtight, opaque containers or airless pumps help prevent some ingredients from oxidizing when exposed to air or light. As technology bolsters the effects of plants and minerals, leading-edge research may push skin care decades ahead. Lastly, remind clients that healthy skin is not limited to topical elements. The foods they put into their bodies can definitely impact skin. It is not unusual for some skin conditions to become aggravated because of internal factors, like vitamin or mineral deficiencies. However, nutraceuticals, known as “functional foods,” provide dietary vitamins, minerals, fatty acids, amino acids, and antioxidants. These systemic elements also affect the appearance of healthy, youthful-looking skin. 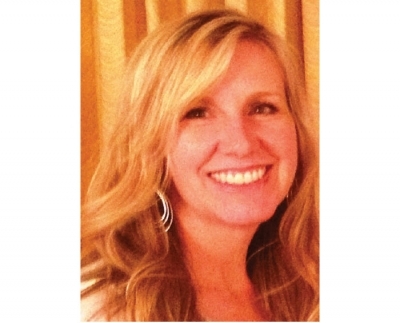 Encourage clients to approach skin care from the inside-out, as well as the outside-in. Natural ingredients? Cosmeceuticals? There is no need to choose sides. Skin care does not need to be politicized if the best of both worlds is used in order to give a boost to each client’s skin care results. Stay up-to-date and ignite an awareness of the powerful fusion of the botanical and clinical worlds. Founder and CEO of Le Mieux Cosmetics and PurErb Herbology-Based Skincare & Aromatherapy, Janel Luu has over 35 years of experience in the beauty industry as an educator, researcher, and formulator. She has taught over 37,000 skin care professionals and physicians on topics ranging from antiaging cellular technology to centuries-old Meridian techniques, sharing her passion for the most fascinating aspects of beauty and skin health.